Whether your planning a family vacation, staying on business or thinking of obtaining some real estate and staying awhile North Padre Island has condos, apartments, vacation homes, hotels and resorts to please just about anyone. The island is located 20-25 minutes from downtown Corpus Christ and 15 minutes from Texas A and M Corpus Christi and 10 minutes from Naval Air Station Corpus Christi. While the Upper Padre Island has over 60 miles of undeveloped National Park beach front and coastal land a portion of North Padre as well as Port Aransas are developed communities that provide access to public beaches, bay and offshore fishing, kayaking, surfing, birding and more. Best Western On The Island offers travelers the leisure of the tropics while staying within easy reach of city attractions. The Best Western on the Island prides itself on serving its guests with warm Texas hospitality. This Upper/ North Padre Island hotel offers boat parking, outdoor swimming pool and comfortable accommodations. Hotel guests can enjoy windsurfing, sailing, fishing, surfing, birdwatching and other beach recreational activities all within a short distance from the hotel. Corpus Christi city attractions are just a few minutes away including museums, shopping, theaters and fine dining. Padre Island National Seashore is a short drive away from the hotel. For a comfortable and affordable stay on beautiful Padre Island, make a reservation online today! Click Here to Reserve Online! 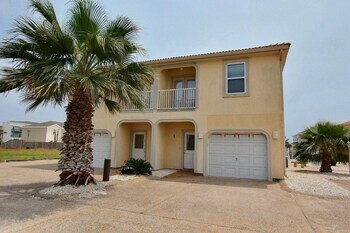 Aruba Isles Retreat Three (3) bedroom condo located close to the Padre Island Seawall. ALl the amenities to make for a great stay on Padre Island. Outdoor pool, barbeque, wifi and more. Beach is within walking distnace and a short drive to Bob Hall Pier, water park, and the National SeaShore. Close to White Cap Beach adn Sout Packery Jetties Click Here to Inquire! Padre Beach View 241 Located right across the street from the beach and seawall on Padre Island. Outdoor swimming pool, barbeque grills, wifi access. CLose to South Packery Channel jetties and just a short drive to places to eat, Bob Hall Pier, water park, golf and fishing. Click Here to Reserve! 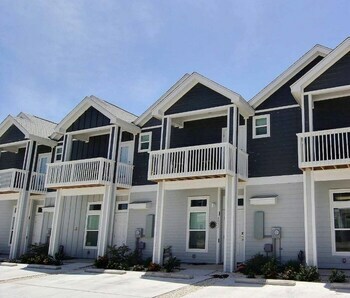 Summer Dream by RedAwning Comfortable three (3) bedroom townhome only 10 minutes form the Padre Island National Seashore. About a 1/4 mile from Bob Hall Pier fishing and surfing. This Townhome is close to restaurants and beaches on Padre Ilsand. Amenities include outdoor pool, wifi, coffee maker, microwave and more to provide an at home feel close to the beaches of Padre Island. Click Here to Reserve ! Padre Beach View 229 Located right across the street from the beach and seawall on Padre Island. Outdoor swimming pool, barbeque grills, wifi access. CLose to South Packery Channel jetties and just a short drive to places to eat, Bob Hall Pier, water park, golf and fishing. Click Here to Reserve! Comfort Suites North Padre Island next to the Gulf of Mexico and Upper Padre Island beaches, within two miles of National Seashore and State Parks, fishing, boating, surfing, swimming. Hotel has interior corridors, elevator, business center, two meeting rooms, exercise room, outdoor pool and a hot tub. The suites have either a king bed or two queen beds with sofa sleeper. Each suite has a microwave, mini-fridge, coffeemaker, hair dryer, iron/board, free high-speed wired/wireless Internet and desk. Hotel has one-room suites, one-bedroom suites, equipped kitchen suites and in room whirlpool suites, balconies and ocean views. Hotel has full free hot breakfast. Click Here to Reserve Online! La Quinta Inn & Suites Corpus Christi-North Padre Island Location. Situated in Corpus Christi, La Quinta Inn & Suites Corpus Christi - N Padre Isl is close to Mollie Beattie Coastal Habitat Community, JP Luby Surf Park, and Bob Hall Pier. Additional area attractions include Mustang Island State Park and Funtrackers Family Fun Center. Hotel Features. La Quinta Inn & Suites Corpus Christi - N Padre Isl has an indoor pool, a spa tub, and a fitness center. Complimentary wireless Internet access is available in public areas and a computer station is located on site. Business amenities include a 24-hour business center and a meeting room. The hotel offers a bar/lounge. Guests are served a complimentary breakfast. Additional amenities include multilingual staff, gift shops/newsstands, and a grocery/convenience store. Complimentary self parking is available onsite for guests. This is a smoke-free property. Guestrooms. The 60 air-conditioned guestrooms at La Quinta Inn & Suites Corpus Christi - N Padre Isl include coffee/tea makers and complimentary weekday newspapers. Complimentary wireless high-speed Internet access is provided. 37-inch flat-screen TVs are equipped with premium satellite channels. All accommodations provide desks and phones; free local calls are offered (restrictions may apply). Bathrooms offer bathtubs, hair dryers, and complimentary toiletries. In-room microwaves and refrigerators are provided. Additional amenities include irons/ironing boards and blackout drapes/curtains. Housekeeping is offered daily. Click Here to Reserve Online! Holiday Inn Corpus Christi-North Padre Island North Padre Island's only full service hotel. Located directly on the Gulf of Mexico. Summer weekend entertainment livens the outside at our Sand Bar. Seasonal children s activities, an outdoor playground, and indoor game room create a perfect family beach vacation. Two large outdoor swimming pools overlook the natural beauty of the ocean and there are many direct beach access points. Both corporate and leisure guests will appreciate the meeting and banquet facilities. Every guestroom has a microwave and mini-fridge and many offer an ocean view and a balcony. The La Vista Grille and indoor bar complete this perfect hotel package! Golf and tennis are less than 1 mile from the hotel. The USS Lex Aircraft Museum and the Texas State Aquarium are 22 miles away. The Texas Treasure Casino Ship is only 20 miles from the hotel. Fish from Bob Hall pier, kayak around Packery Channel, surf in front of resort, boat around Bird Island, or walk the many birding trails in the Coastal Bend. Click Here to Reserve Online! Many properties are located on water canals for easy boat access to the Laguna Madre. A few resort properties are situated on the seawall with breathtaking views of the Gulf of Mexico and provide immediate pedestrian beach access. Many homes and condos are available for vacation rentals or short term lease. Always be sure to check you are actually staying on North Padre and not on the beaches of Corpus Christi Bay (unless you wish to enjoy downtown beaches). On occasion visitors and new residents mistake downtown Corpus Christi for being on the Gulf of Mexico when it is about 20 miles away. North Padre Island (Upper Padre Island) has several R.V. Parks and campgrounds available. Winter Texans and other visitors have both public and privately managed sites to choose from island. Padre Island National Seashore and Mustang Island State Park both have modern R.V. facilities with dumping stations and hookups.